How can CutTime ensure our support will effectively enrich our community? Corporations are visible supporting their local communities with meaningful art projects that nourish citizens with access and knowledge to live better. Classical music and their potential to unlock personal meaning and creative thinking skills are such projects for deeper living. Our established music institutions make these available in small quantities and largely without any keys to unlock the meaning or social potential of classical music. CutTime changes all this by explicitly sharing key insights with hosted events— having started in the African-American community, having traveled the world, having held a world-class position in the Detroit Symphony Orchestra, and having developed an effective ability to translate inspiration across cultures with innovative transcriptions, new music, analogies, participation and dance. It is the only organization in the world dedicated to presenting symphonic music as chamber music, bringing it into restaurants, offices, homes, schools and churches as never before. Our proposed new restaurant series will match corporate messaging with affluent customers where they can dine on seafood and Saint-Seans. Call for more details. 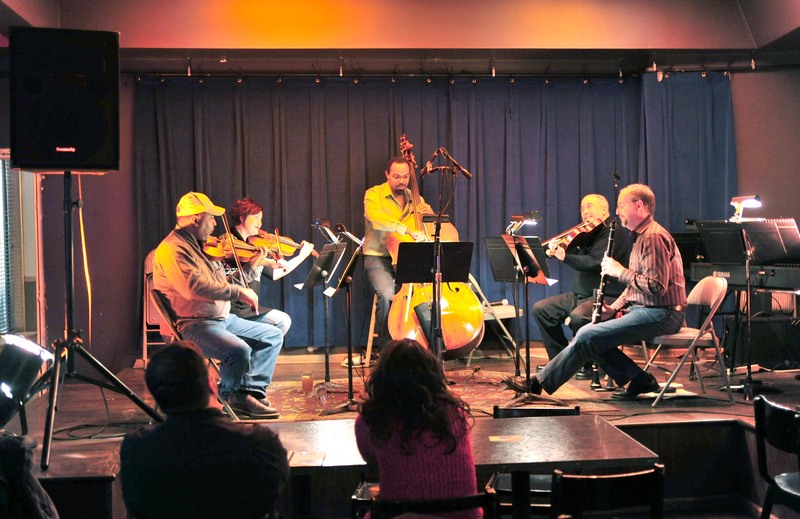 CutTime’s ongoing Classical Revolution Detroit series, which stands to win $30,000 from the John S. and James L. Knight Foundation, is enjoying its fourth season of volunteer chamber music events in local clubs. This project grant will expand the series across the city threefold… but not without corporate support. Imagine young, hip, black and Latino adults hearing themselves reflected in classical styles. We’d like to say your corporation believes Detroiters deserve beautiful music. Please call 313-680-8104 today for more information and make a visible and lasting contribution to Detroit’s identity.